So you can keep up-to-date with the very latest in bathrooms from VictoriaPlum.com, I’ll be taking you through some of the new and exciting products that we've recently added to our ever-growing range. This summer, we’ve introduced some fabulous new bathroom accessories from some big brand names, providing the perfect finishing touches to bathroom projects big or small. Let’s take a closer look at just some of these brilliant new items. If you’ve never heard of Joseph Joseph before, you soon will! Joseph Joseph was founded in 2003 by twin brothers Anthony and Richard Joseph, with the aim of finding practical solutions to common household problems. From humble beginnings, the award-winning company is now a global phenomenon, selling products in over 100 countries worldwide. Their motto is “Brilliantly useful design”, and, after using their products, it's not hard to see why. 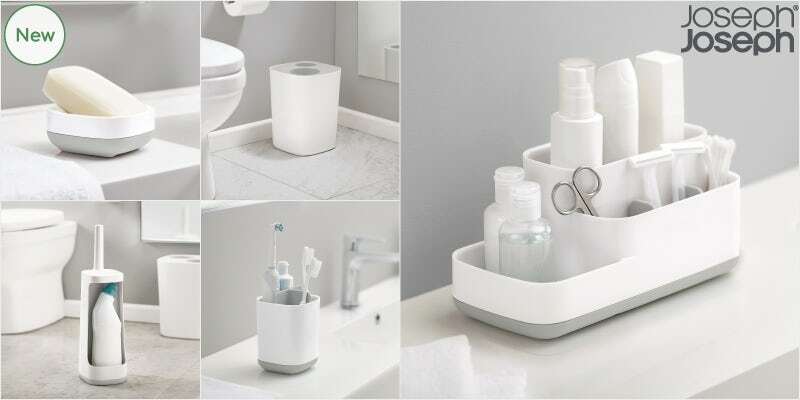 The Joseph Joseph bathroom accessories range is both innovative and stylish, with a selection of items that’ll make life easier when using your bathroom. From the simple soap dish, with its sloped design and ventilation hole for easy cleaning, to the non-drip soap dispenser, with a fill level window and non-slip base, each item is designed to provide an exceptional experience. It may surprise you, but my favourite item is the Flex plus smart toilet brush. Why? Well, there are just so many creative innovations that make it stand apart from your “bog” standard toilet brush, such as the integral storage compartment where you can neatly conceal your toilet cleaner, a unique flexible shape and durable rubber bristles which prevent those horrible clogs and drips. It's a must-have accessory range for any contemporary bathroom! If the recent World Cup taught us anything, it's that we don't want to miss a single second of our favourite TV moments. The good news is, with our fantastic new range of bathroom TVs, every bath time can now come complete with your favourite soap opera! 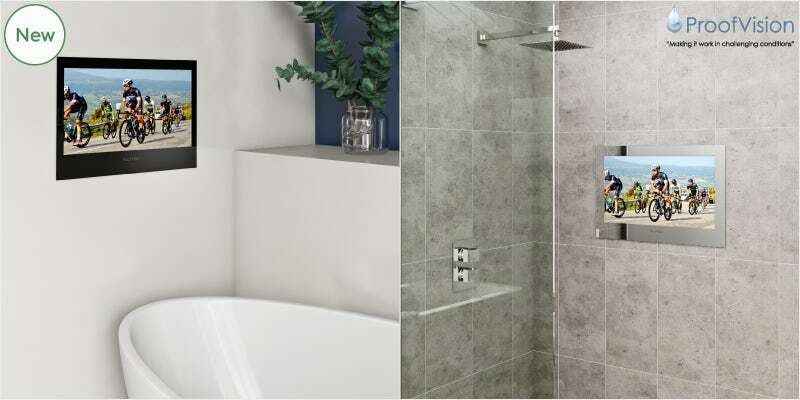 From ProofVision, these high quality TVs are designed specifically for use in your bathroom, with an IP65 rating which means they can even be used in splash zones like showers. Demisting technology means your TV will never fog up, no matter how hot and steamy things may get, plus it comes with a completely waterproof remote control, so you needn't worry about dropping it in the bath. Choose from a range of finishes, including black, white and mirror. Back in 2016, we conducted a survey about bathroom issues, in which a staggering 43% of all those interviewed said they had a broken or loose toilet seat which needed fixing or replacing. Toilet seats, by their very nature, undergo a punishing daily routine, being lifted and dropped thousands of times a year. Which is why Croydex, one of the UK's leading suppliers of bathroom accessories, have invested so much time in developing a range of toilet seats that are both easy to fit and won't come loose. The Croydex Flexi Fit toilet seat range features a number of clever innovations, including grip pad technology and the pioneering, patented V plate hinges, which allow maximum adjustment to fit the fixing holes of any standard toilet. With no tools required, they can be installed quickly, with top-fix allowing the seat to be fitted from above or below. As well as being adjustable, many of the seats feature soft close technology, to help reduce noise, along with a quick release mechanism, so your seat simply lifts off for more practical cleaning. 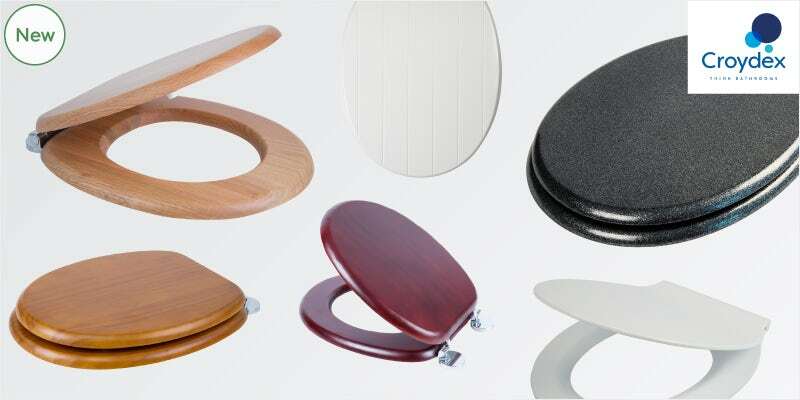 Made from durable moulded wood and available in a range of colours and finishes, Flexi Fit toilet seats are treated with an anti-bacterial finish. This helps limit the growth of germs and bacteria, protecting against diseases such as e. coli, MRSA and salmonella. This special coating also helps reduce staining and odours. A great option if you are looking to replace a broken seat or refresh your suite. Searching for some bright ideas for your bathroom? 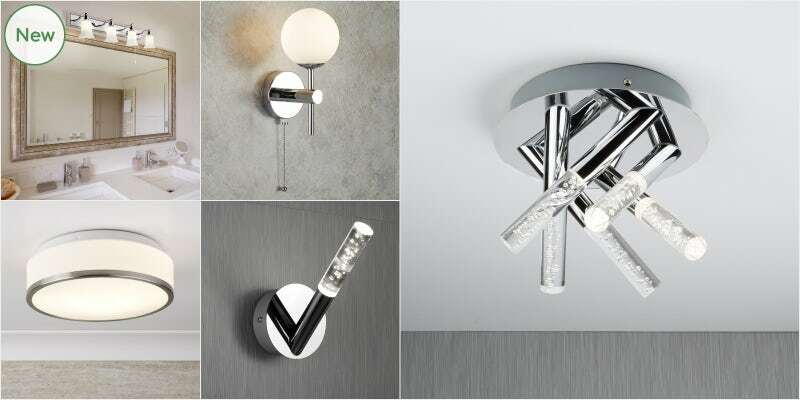 Check out some of the gorgeous new lighting from Searchlight, one of the UK's leading lighting suppliers. With a fabulous selection to match all manner of interior styles, Searchlight lighting is designed specifically for use in bathrooms. Why not find out more about bathroom electrical zones. I particularly like the matching bubble effect wall and ceiling lights (pictured above), which will add a fun element to any bathroom decor. If you're looking to add the finishing touches to your new bathroom, ensuite or cloakroom, you'll be pleased to know, you can find all these new bathroom accessories and much, much more at VictoriaPlum.com. NoCalc is a patented way to protect your whole home from the damaging effects of limescale and corrosion, without harming the natural environment. Find out how this quick fix can save you money. When you’re thinking bathrooms there can be a tendency to concentrate so much on the big things like the suite you want, that you can overlook the different accessories that can also improve your bathroom in so many ways. This month’s stylist's selection is all about being bold! We've recently introduced some new and exciting bathroom accessory lines and we're dying to show them off to you.